When studying the culture of the Celts, history scholars often highlight the widespread use of the wolf symbol. The animal in itself is very often singled out by different ethnic groups for its merits. For example, in Asia this predator is regarded as the heavenly gatekeeper, whereas the Nordic peoples equaled wolves with victory, believing that they were carrying the Valkyries and majestic war god Odin after the battles. Celtic Wolf Bronze Pendant Viking Amulet viking-workshop has the specific features of the Celtic culture. The wolves there were thought to be the sunseekers, reaching out to consume it in the evening and then pass all the energy to the Moon. Celtic Wolf BronzePendant Viking Amulet has a round shape and bears gaping jaws. 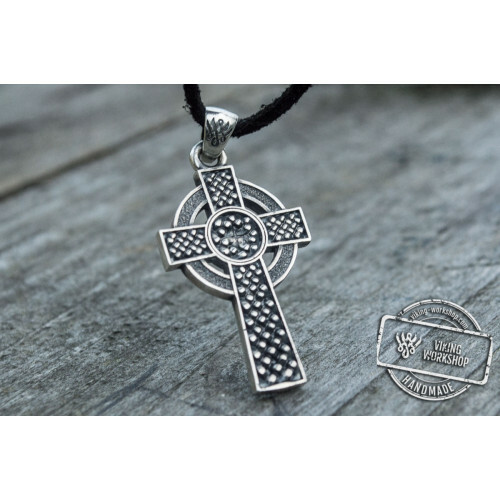 Experienced designers of our online-shop have also tried to render the ferocity and fearlessness of this strong-willed predator and our craftsmen, who produce each pendant entirely by hand, are taking into account all these details of their work, which is also characteristic of other accessory – Celtic Cross Sterling Silver Pendant Stylization. To buy Celtic Wolf Bronze Pendant Viking Amulet in our shop, you need to choose the material (bronze, silver or gold), and then confirm your order. 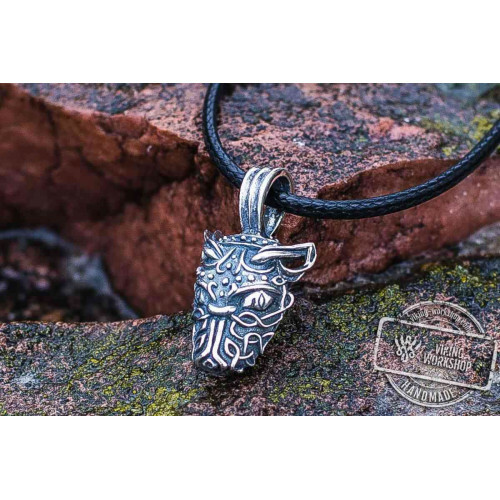 This model is complemented with a thin leather neck cord, but you can also purchase Celtic Wolf Sterling Silver Pendant Pagan Amulet with a thick textile one. The span between the manufacture and delivery is usually about 1.5-2 weeks, but the parcels often reach our clients even sooner.